San Diego Gulls coach Dallas Eakins has signed a multi-year contract extension after guiding them to a Pacific Division-high 118 victories in their three seasons in the American Hockey League. Eakins has a 118-71-10-5 record and .615 points percentage in his three seasons with the Gulls. The team advanced to the Pacific Division Finals in each of its first two seasons and missed the playoffs by one point in the third. Eakins was hired by the Gulls before their inaugural 2015-16 AHL season after being fired by the NHL’s Edmonton Oilers 31 games into the 2014-15 season after they got off to a 7-19-5 start. 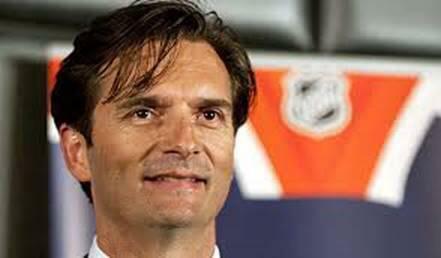 Eakins coached the AHL’s Toronto Marlies for four seasons before being hired by Edmonton. The Ducks also announced the appointment of Marty Wilford as assistant coach after three seasons as the Gulls assistant coach.